This position serves as Executive Assistant to the General Manager of Arts, Culture, and Community Services (ACCS) and Coordinator of activities of the General Manager’s Office. ACCS Business Unit operations include Cultural Services, Social Policy and Projects, Homelessness Services and Affordable Housing Programs, Partner Agreements, Non-Market Housing Operations, Civic Theatres, three social centres serving the DTES and downtown south, and Mountain View Cemetery. As the Executive Assistant to the General Manager, ACCS, the position is accountable for enhancing the GM’s effectiveness by providing administrative support, such as maintaining the GM’s appointment schedule, managing the follow of correspondence, and responding on behalf of the GM to various inquiries and requests. 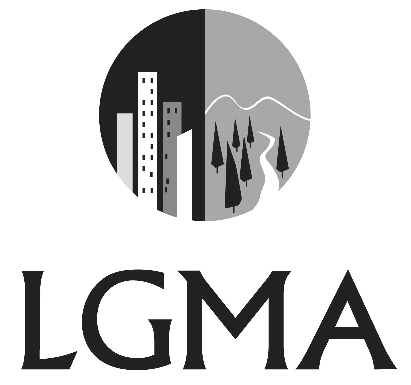 As Coordinator of the GM’s office, the position is responsible for coordinating the flow of time sensitive information from various ACCS Departments, including identifying Council priorities and emerging issues as they move from the other City leadership members, Managing Directors, Senior Planners and Directors to the GM in a dynamic and varied portfolio. Reports to the General Manager of ACCS. Key contacts include other Corporate Leadership Team members, City Manager and Deputy City Manager, Managing Directors, Managers, Office of the City Clerk, employees, outside agencies, other levels of government and agencies, and the general public. Completes a broad variety of administrative tasks for the General Manager, including: managing an active calendar of appointments; completing expense reports; composing and preparing correspondence; arranging itineraries and agendas; and compiling documents for various meetings. Proactively creates and maintains effective workflow and communications to accomplish the work of the GM, which includes the handling of a variety of projects and tasks simultaneously. Works closely and effectively with the GM to keep them well informed of upcoming commitments and responsibilities, following up appropriately. Communicates directly, and on behalf of the GM, with staff across the City, community members and other stakeholders on matters related to the Business Units work and the GM’s activities. Responds to phone, e-mail and in person enquiries - providing information and referring enquiries to appropriate sources based on a broad knowledge of the GM’s priorities, procedures and protocol. Tracks and follows-up on correspondence and other types of inquiries ensuring that responses to requests for information from the unions, City departments, the City Manager, and Mayor and Council are completed in a timely manner. Drafts and proofreads correspondence, agendas, and minutes on behalf of the GM and ensures appropriate protocols and templates are implemented. Prepares, gathers and relays confidential information and material on a regular basis. Manages the flow of documents and inquiries; screens, reviews, edits and proofreads correspondence, e-mail, telephone calls, voice-mails, etc. Develops, organizes and maintains a comprehensive filing system for the GM office in accordance with the City's record management system. Investigates, researches, obtains, disseminates and summarizes information for action and maintains active project files. Maintaining databases; entering, updating, reviewing, extracting and researching data; and producing a variety of reports. Coordinates the Council Report Process on behalf the Business Unit. Processes Council Summary forms, changes to the timing of Council reports, monitors the progress of a Council item and works closely with City Clerks office, the directors, senior planners and admin staff to ensure the reports are delivered to the GM and onto the CM in a timely fashion. Makes recommendations to the GM on internal service delivery improvements, compiles process improvement documents. Leads or delegates the implementation or improvement of Business Unit wide administrative procedures, such as policy review tracking. Researches, prioritizes, and follows up on incoming issues and concerns addressed to the GM, including those of a sensitive and confidential nature. Recommends appropriate course of action, referral, or response. Coordinates and manages the regular ACCS Senior Leaders Meetings, prioritizing and tracking agenda items and follow-up actions. Coordinates and manages the regular ACCS Leaders Meeting, prioritizing and tracking agenda and follow-up actions. Provides support to various committees which the Managers, Directors, or GM may Chair by typing and distributing minutes, preparing agenda packages, arranging meeting dates/times/rooms. Manages a variety of special administrative projects for the GM, many of which many have organizational impact. Requires excellent interpersonal and communication skills including a thorough knowledge of business English, spelling, punctuation and business math. A high level of sensitivity when interacting with the department’s clientele and staff.